Even thought criticisms are flying in from here and there, this resolute Lagos based lawyer is not deterred from the cause he has chosen to pursue. Olukoya Ogungbeje has justified his decision to defend suspected billionaire kidnapper, Chukwudumeme Onwuamadike, a.k.a. Evans, in court. 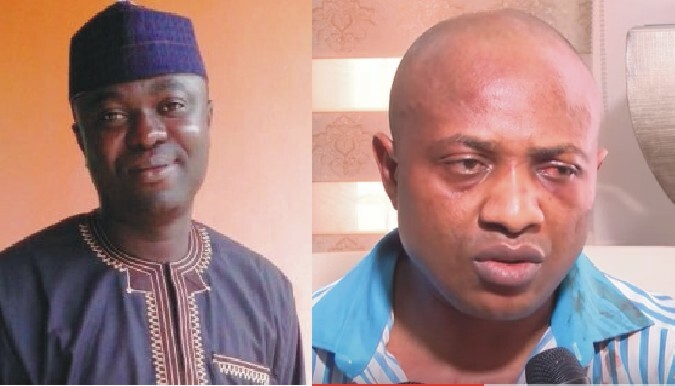 Ogungbeje has come under public criticisms for accepting the brief to seek freedom for Evans from police detention, or have him charged to court, weeks after his arrest. Nigerians had taken to the media to condemn the move, saying, the notorious criminal suspect who confessed to denying his victims their freedom did not deserve mercy considering the atrocities he reportedly committed with his gang members. But, speaking with Saturday Sun yesterday, Ogungbeje, accused a section of the media, as well as many Nigerians of being ignorant of the law. He added: “That is my answer to your question. So, no matter the public opinion, I have the responsibility to take up the matter. We were properly briefed. So, our action is based on law. And we want to represent our client within the bounds of law, within the confines of law. So, if you for instance, you’re a journalist, if you brief me… you don’t want me to take up your cause, because people are saying negative things about you, or because people have condemned you and found you guilty before the media, that I should not take up your case? “Look, let me tell you right away. We were briefed two weeks ago. And I told them to give me two weeks to think, whether I would take up the brief or not. I did my consultations. We consulted even journalists, you can go and make enquiries. I consulted my people. I consulted senior lawyers. So, have I done what is wrong by taking the cause of my clients? Forget what people say in the court of public of opinion.